In 1886, the parish was founded and given the name St. Bruno. The school, built in 1887, was the first school established when the Diocese of Belleville was founded. The first school had one classroom for 60 students and a second story used as a home for the Sister Adorers of the Blood of Christ. A two-room school was built in 1891. In 1949, the school was moved across Gordon Street, adding it to the Lehman house and making it a three-room school for over 100 students. A two-story building providing classrooms for grades 1-8 was dedicated in 1956. Improvements have been made through the years to enhance the facilities for a better learning environment. The most extensive change was made starting in May of 1992. The entire interior of the building was remodeled. The asbestos was removed and new plumbing and electrical services were installed. Through the gifts of private donors, new furniture was bought for the cafeteria and several other areas. October 4, 1992, St. Bruno School was rededicated during a special liturgy. This was the feast day of St. Bruno. The Sister Adorers of the Blood of Christ had staffed the school since its beginning. They maintained a presence in the school until the 1997-98 school year. 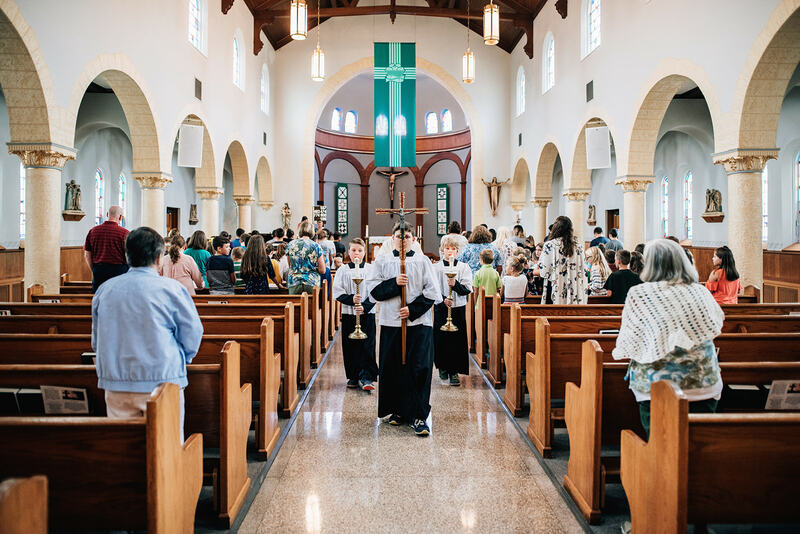 From 1999 until June, 2004, the School Sisters of Notre Dame were here to minister in the school. The Parish Center, completed in 1966, provides a gymnasium, a lounge for social activities and a stage. In 1996, the lounge was turned into a preschool to house an educational program for three-year-olds and a pre-kindergarten program for four-year-olds. In April of 1999, the gym floor was refinished.